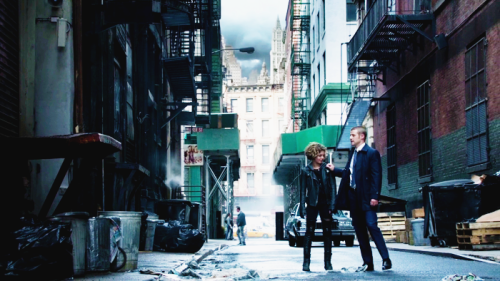 This is the second installment of a special five part series on Gotham. Whether you’re new to the show or simply want to refresh your memory, we’ll recap all ten episodes that have aired so far in time for the midseason premiere of Gotham on Monday, January 5th. Last week, we recapped the show’s pilot episode. In this installment, we’ll explore episodes 2-4. We would also like to remind readers that Gotham contains some content suited only for older viewers, and viewer discretion is advised. The second episode of Gotham introduces us to the overarching plot that will continue through the show’s entire first season. Don Falcone is the most powerful underworld figure in all of Gotham. But now that his power has been weakened by the death of the Waynes, his rival Don Maroni has plans to try to overthrow him. To make things more complex, Fish Mooney, who works for Falcone and pretends to be loyal to him, is secretly planning to usurp his power. Falcone doesn’t know for sure that Fish has plans against him, but he shows he has suspicions about her when he visits Fish at the nightclub. He tells her that, before he died, Oswald told about her secret plans. We briefly see a more vulnerable side to the seemingly invincible Fish when Falcone orders his men to beat Lazlo, a young man she cares about. She manages to keep herself together while still in Falcone’s presence, but loses it once he and his men exit the club. Fish says she wishes Oswald was still alive, just so she could punish him worse. What she doesn’t realize, of course, is that Oswald is still alive. We see him trying to catch a lift on the side of a road. A couple young boys taunt him as he tries to accept their offer of a ride, but they eventually let him in. Oswald is naïve enough to think these boys are his new friends now, and is very polite and grateful to them. That is, until they compare him to a penguin due to his limp. Then he murders one, and tries (unsuccessfully) to hold the other for ransom. Oswald rents a trailer, and maps out his future plans. 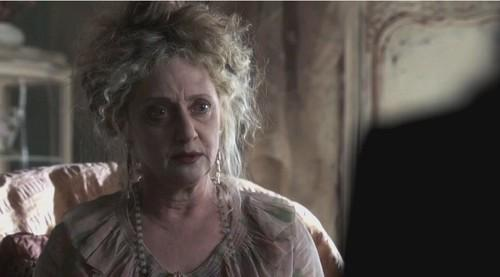 We also meet Oswald’s mom, Gertrud Kapelput (played by the wonderful Carol Kane), when Montoya and Allen visit her to get information about Oswald. She seems very attached to her son, and refuses to believe he is dead, instead worrying that he’s being taken advantage of by some “painted lady”. Meanwhile, Jim Gordon is trying and failing to get his fellow cops to take their jobs more seriously. Anytime he tries to stand up for what’s right or promote justice among his coworkers, they remind him that, since he murdered Oswald (or so they think), he’s just as bad as they are. A rather interesting case comes up when they discover someone is pricking street orphans with a pin that knocks them out, and abducting them left and right. Eddie informs them that the pin seems to contain a knockout drug called ATP that was used at Arkham Asylum before it closed fifteen years ago. No one knows why the street kids are being abducted. What’s more, no one seems to care to know. Jim is disturbed by everyone’s apparent apathy toward the children. His fiancée Barbara senses something is wrong and encourages him to open up to her. He tells her all that’s going on about the children and the cop’s lack of interest to help them, and Barbara informs the newspapers about it, to Jim’s dismay. The GCPD is not at all happy about the leak to the media, but it gives them more reason to investigate. They discover ATP is only stocked by three companies. And while investigating one of these companies, they find the kidnappers arguing with the company manager. Apparently, the kidnappers plan to take the children to someone known as “The Dollmaker”. The argument turns ugly, and when Jim and Harvey step in, a shootout ensues. The two kidnappers escape, but the company manager is taken into custody. The children are found in a back room and rescued. Mayor Aubrey James publicly announces a plan to get all the orphans safely off the streets. As all the children are rounded up by authorities, he says there will be foster homes for the “cute, undamaged ones” and a juvenile correction facility for the rest. Of course, Jim knows the mayor isn’t really doing this out of sympathy for the children, but to end the petty crime that takes place on the streets. The kidnappings serve as a great excuse to lock up street thieves without the hassle of a trial. Jim gets a call from Alfred, who asks him to visit the Wayne manor to assist him with a matter of concern. Apparently, young Bruce is becoming quite rebellious. His daredevil stunts haven’t stopped, and he’s even purposely burned himself with a candle. It would go against the wishes of Thomas and Martha to take him to a psychiatrist, as they wanted their son to always choose his own path. Alfred hopes Jim can help in some way, since Bruce seems to respect him. Bruce comes and assures them both there’s nothing to worry about, as he’s only testing himself. Bruce also offers to donate money to help the rescued orphans, but Jim tells him money isn’t what they need. They need someone who cares for them, the way Alfred cares about Bruce. In this episode, we get to hear Selina Kyle, also known as “Cat”, speak for the first time. Apparently she didn’t qualify as “cute and undamaged”; and as she’s on her way to juvie, she gives fighting advice to one of her young fellow passengers. Unfortunately, it turns out the bus she’s on is being driven by the kidnappers. Cat tries to escape, but one of the kidnappers stops her by holding her at gunpoint. Despite Jim’s usual desire to stop police brutality at work, he happily lets his partner Harvey beat information out of the pharmacy manager after they find out the kidnappers have taken the children on the bus. The manager tells them that the logo he sees on the van the kidnappers usually drive has a blue plate and silver fork on it. At first they can’t find a company that uses such a logo, but then Jim realizes the plate and fork must actually be a trident. He heads for the warehouse used by Trident Shipping. At the warehouse, the kidnappers are unloading the children. They find that Cat is not among them. Wondering if she escaped the bus when they weren’t looking, one of the kidnappers searches the warehouse and finds one of the guards has had his eyes clawed out — Cat’s signature move. Continuing the search, she eventually finds Cat and is about to kill her, when Jim comes to her rescue. Once Cat is safe at the police station, she tries to get out of going to juvie. She says she wants to go to her mother. The GCPD tell her that her mother is dead, which she denies. She then demands to talk to Jim Gordon, or else she’ll claim an officer at the GCPD molested her. They bring Jim to her, and Cat makes him an offer: freedom in exchange for information. She saw the Wayne killer, she tells him, as clear as day. After signing some papers for the juvenile services officer, Jim has custody of Cat and takes her to the scene of the crime. All the information she gives him is stuff everyone already knows, and he starts to doubt she was actually a witness to the crime at all. As proof, she says to go down into the sewer and look for a wallet that she threw there just before the murder occurred. Jim handcuffs her to the stairs and goes down into the sewer. He finds the wallet. But when he looks up, he sees Cat has escaped. Montoya and Allen visit Fish and ask her about Oswald. She tells them Jim killed him under orders from Falcone. Once they leave, Lazlo worries Falcone will find out about what she told them. Fish decides that getting beat up by Falcone must have caused Lazlo to lose his spine, and she orders Butch to get rid of him. She also orders to have someone close to Falcone killed. Falcone’s girlfriend is suddenly the victim of an “accident”, and Falcone pays Fish a visit when he hears the news. He hints that he suspects her, but is subtle about it. They also mention some concerns they have over Arkham. Montoya and Allen confront Jim, and he says he didn’t kill Oswald. Harvey tells him not to worry, as no one cares about Oswald anyway; and if Montoya and Allen actually had any proof, they wouldn‘t have come in the first place. Montoya lets herself into Barbara’s apartment and finds Barbara getting high. She tells Barbara that Jim has killed someone for Falcone. It’s revealed that the reason why the two women originally broke up was because Montoya was a liar and a drunk. Montoya says she’s clean now and that she doesn’t want Barbara being with someone like Jim. She kisses her, and Barbara asks her to leave. Before doing so, Montoya encourages her to ask Jim where he was the night Oswald Cobblepot was murdered. Meanwhile, Oswald doesn’t seem to be listening to Jim’s request to never come back to Gotham. He seems to be eager to immerse himself back into the corruption of the city. When someone recognizes him and threatens to mess up his plans, Oswald stabs the man, crying, “Gotham needs me, I am its future!” He kills another man in order to take his job at Maroni’s restaurant, and is told by the restaurant manager not to pay attention to anything he sees or hears while working there. Of course, his reason for taking the job is to do just that, and Don Maroni catches him eavesdropping on his plans to take down Falcone. Unexpectedly, Maroni is strangely kind to Oswald, and calls him “the boy who loved his mother” (a nickname that will become strangely appropriate later in the show). He also gives money and advice to Oswald, who agrees to pretend he didn’t hear any of the conversation. Jim Gordon’s next case involves trying to catch someone who is just as concerned about the corruption in Gotham as he is. A vigilante has arisen in Gotham, and he has a very unusual method of killing bad guys. He walks around Gotham with a balloon cart that is secretly loaded with bricks, and attaches unsuspecting corrupt politicians to a weather balloon that floats them high into the sky. No one at the GCPD seems too keen on solving the case when the first victim gets balloon’d, as the man was so corrupt, his actions spurred the suicides of people he cheated. They figure he deserved it. But when a dirty cop becomes the second victim, everyone is on the alert. When Jim is upset by the hypocrisy he sees, Barbara unsuccessfully tries to comfort him by reminding him he caught the Wayne killer. He doesn’t have the heart to tell her the killer is still on the loose. 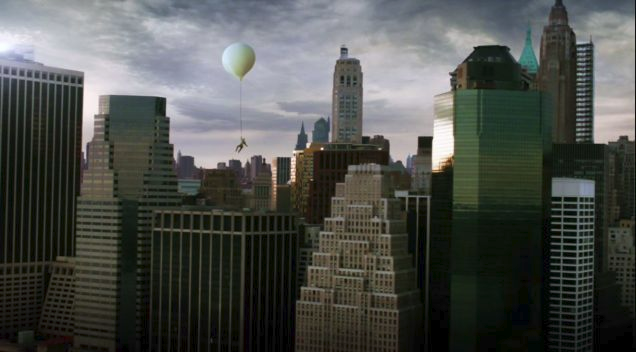 The man who originally made the weather balloons contacts the GCPD in order to avoid getting any of the blame for the killings. He tells them four of his balloons were stolen by an ex-employee named Carl Smikers, and gives them the man’s address. Smikers doesn’t come back to the address, so Harvey tracks him down using his contacts on the streets. After a fight at his new apartment, they bring him in for questioning. It turns out Smikers is not the guy. He sold the balloons to pay off loan sharks, and since it was a drop-off he never saw the face of the guy he sold them to. 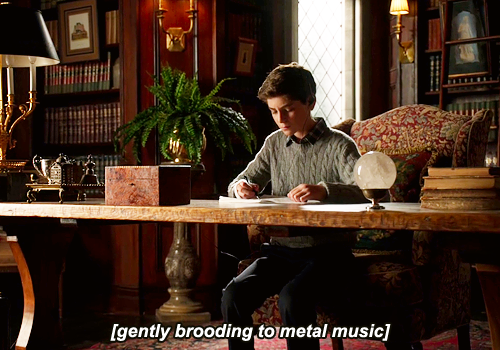 Back at Wayne manor, Alfred finds out Bruce has attained the police file on his parents’ death, and that the young boy is searching them for clues — a hobby that worries Alfred. The two have also been keeping up with the Balloonman case on the news. Citizens of Gotham are quite upset over the defeat of the vigilante, including Alfred. But Bruce says the Balloonman killed people, and that makes him just as bad as the people he killed. Bruce takes special notice when a reporter wonders who will protect Gotham now. At Barbara’s apartment, Jim is feeling hopeless after the events of the day. He tells Barbara that, when he asked Lamond in the ambulance who his next target would have been, Lamond told him that it didn’t matter since everyone in the city was corrupt and deserving of it. Barbara decides she has too much confidence in Jim to believe he’s guilty of killing someone outside the law. Suddenly they are interrupted by a knock. 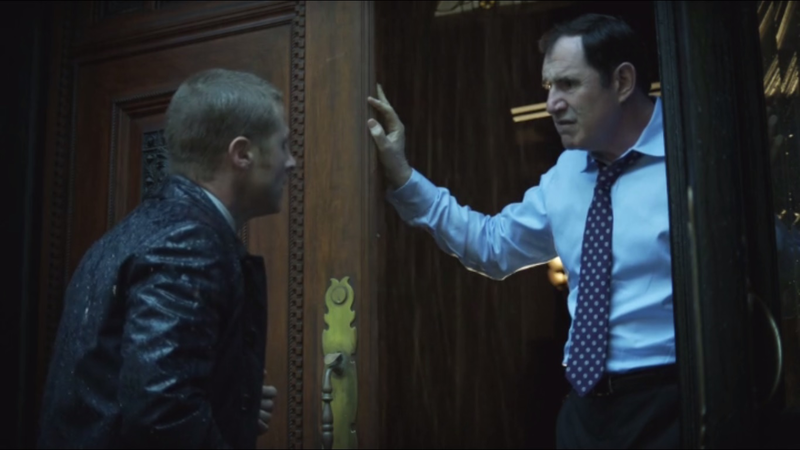 Barbara opens the door and finds Oswald Cobblepot smiling on the other side. Despite Jim’s warning to never come back to Gotham, Oswald has come straight to Jim and Barbara’s apartment. Unfortunately, Barbara doesn’t find out that he is Oswald, because he introduces himself to her by a false name. Jim and Oswald talk outside, where Jim becomes very angry. Oswald defends his actions by telling Jim he has no other place to go, and that he wants to help Jim, who he believes is the last good man in Gotham. He says that Jim will need him, and reminds him of the upcoming war, hinting that it’s connected to Arkham. When Jim and Barbara are together again, Barbara says she hates the secrecy and asks who Oswald is. Jim guesses that she and Montoya must have talked again, and asks what’s going on between the two of them. Barbara admits that Montoya is her ex, that they dated a year before Barbara ended it, and that it doesn’t matter anymore because she loves him now. Jim gets upset that she didn’t tell him about this before, and they leave the apartment still angry. Later, at the station, the two again discuss the secrecy that’s gone on between them, and Barbara gives him a choice — to let her in or let her go. Fish Mooney is auditioning female singers. But she seems to be looking for more than a good voice or a good face. She’s looking for a weapon. We see two different girls audition. One is a fantastic singer and the other is a bit mediocre. At the end of their songs, Fish asks each of them to try to seduce her. The one with the bad voice does well at this, while the one with the good voice does poorly. In the end, Fish brings both girls together and tells them to fight. Liza, the girl with the bad voice but good skills in seduction, wins the fight and the job. Meanwhile, at Maroni’s restaurant, Oswald is having some difficulty eavesdropping on conversations, as the manager keeps catching him in the act. Lucky for him, Maroni’s is suddenly robbed and the manager is conveniently killed. Oswald is found in the freezer holding a bag of money that he rescued from the robbers, though they made off with the rest of the cash. As reward for saving what money he could from the thieves, Maroni makes Oswald the new restaurant manager. Later we find that, of course, Oswald is actually behind the robbery, and he kills off the thieves he hired using poisoned connoli. Episode Four mainly focuses on Arkham, the last major undeveloped district in Gotham, and two opposing plans of development. The first plan is to build affordable housing, tear down Arkham Asylum and replace it with a new, state-of-the-art mental care facility. This plan was created by Thomas and Martha Wayne, in the hope that caring for the city’s least fortunate would inspire hope for everyone. But now that the Waynes are dead, the plan is backed by Falcone. The opposing plan — that they lose the asylum altogether and use the surrounding land as a waste disposal site — is backed by Maroni. The GCPD fears the debate over Arkham may lead to a gang war. In fact, it has already begun. Each family Don has killed a councilman employed by the other to try to alter the vote. Eddie says both victims had puncture wounds from a metal spike, which indicates both sides are using the same hitman. Jim and Harvey learn from one of their contacts that the hitman’s name is Gladwell, and are given the address of his workplace. Once there, they find Gladwell has fled the scene, but photos of the two dead councilmen are found in his desk. They also find a piece of paper with “-C, -L, -M” written on it. After further research, they discover “Gladwell” is not the man’s real name. Gladwell has been dead for five years, and the hitman stole his identity. 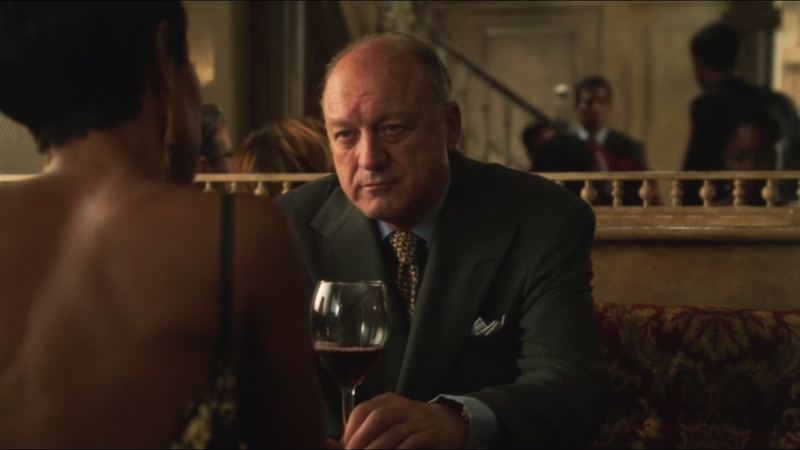 Harvey asks Fish Mooney’s help in finding the man who calls himself Gladwell, but she tells him there’s no point. If “Gladwell” is caught, Falcone will just get a new hitman. The Arkham vote is vital to him, as it has become an all-or-nothing matter in determining whether he’s still the number one power in Gotham. If Maroni gets any of the land at all, it will show Falcone is starting to weaken. Oswald calls Jim to tip him off on a hit that’s been placed on one of Falcone’s men, which he says will take place that night. At the station, Jim asks for a list of body guards, and discovers men with the initials C, L, and M are protecting the mayor that night. Since those are the same letters he found on the paper from “Gladwell’s” workplace, he knows the mayor must be the next intended victim. At the mayor’s house, Jim finds the police protection gone. He tries to get the Mayor to go to his sister’s house, since the police station isn’t safe either, but he stalls. Finally, they’re about to leave, when they find the hitman has already arrived. They run upstairs with him in pursuit. A fight ensues, and Harvey arrives. When the hitman threatens to “finish the job”, he is shot by both Harvey and Jim. During a televised statement, Mayor James announces a compromise between the two plans. Falcone will get his low-income housing development, and Maroni will get his waste disposal site. The Arkham Asylum will stay where it is, but will be updated for modern use. This plan does not send a message of hope as Thomas and Martha originally planned to do, but the mayor and GCPD hope it will at least put a stop to the war over Arkham. Sadly, what they don’t realize is, a compromise won’t stop the war from brewing. For Falcone, the Arkham decision was either a win or a loss. And the fact he didn’t win sends a message to all the people in Gotham — Falcone is weakening. We don’t get too much major action in episodes 2-4, as each episode seems mostly to focus on the individual cases Jim is assigned. But we do get some interesting tidbits. As powerful as Falcone is, it will take quite a plan to take him down. And Fish is just now setting her plan in motion. Apparently this plan involves turning young Liza into a weapon. But how? It should prove interesting to see where this leads, and I can’t wait to see whether Fish succeeds in her plot or if it becomes her own undoing. It was also very interesting to meet Oswald’s mother. We don’t know much about her yet, but it will be interesting to learn more, and find out how her presence in his life has affected him — if he turned bad despite her influence or because of it. I am really intrigued by Oswald’s characterization so far. There are scenes where Oswald is nothing but polite and humble, where he seems like he could have been a really sweet guy if only he hadn’t become involved with the wrong crowd. And in those scenes, you expect him to become a sort of antihero. But then you see him kill — completely of his own accord — and the way he relishes it. And suddenly you see there’s no chance of him turning good. He is firmly in the villain category. With different scenes giving off these two very different impressions, you would expect the character to appear to have dual personalities, but that isn’t the case at all. Instead, it all flows so naturally together. Everything — even what should normally seem contradictory — melds together perfectly into one person. It’s fascinating and well acted. And luckily, we know we’ll get to see a whole lot more of it. The showrunners have stated every season focuses on one villain in particular, and Season One is Penguin’s. While the purpose of the pilot episode was to introduce the characters, the purpose of these three episodes was to set the stage for the rest of the season. And in tomorrow’s article, we’ll discuss the episodes in which the real excitement begins.